The tension in the blind prevents fingers entering the hinge gap, where they may be subject to trapping. Independently tested to over 1 million opening & closing closing cycles. Standard length 1925mm, a 2015mm Longer length available to order to comply with EN16605 - please contact us. Raven brand draught seals for frameless glass doors. 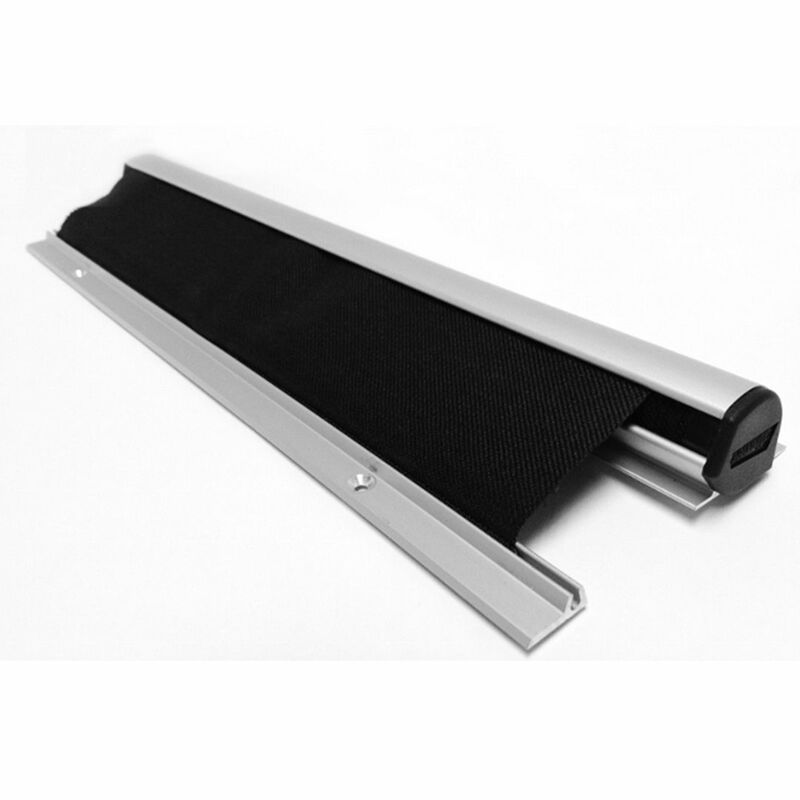 Satin Aluminium carrier with woven pile seal. RP79 for 12mm thick glass RP88 for 10mm thick glass. Seals gap of 8-9mm. 3 metre lengths. Clear polycarbonate seal for glass doors by Raven. RP103 for 10mm thick glass or RP104 for 12mm thick glass. Seals gap of 7-8mm. 3 metre lengths.